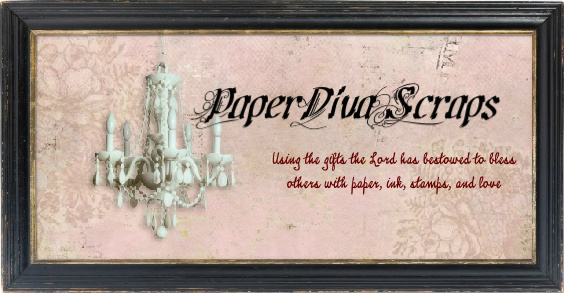 PaperDivaScraps: I'm the newest member of the Oh La La Creatons Design Team! 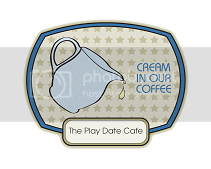 I'm the newest member of the Oh La La Creatons Design Team! Oh Happy Day! 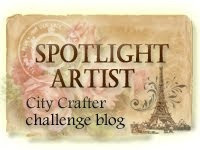 To my chagrin I received a happy email today, I was asked to join the design team for the Ooh La La Creations Challenge Blog! I am so excited and honored to be asked to join this group of lovely and talented ladies. 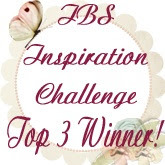 If you have never visited their site, please hop on over and join in on a challenge : http://ooh-la-la-creationschallenges.blogspot.com/ . Here at Ooh La La Creations we aim to bring you only the best artwork from ,what we consider to be, some of the finest artists available & to ensure that our cd\'s are full to the brim with images & ideas to enable you to create fantastic & sometimes unusual cards to give to your friends and relatives .We sincerely believe that,no matter what your skill level you can produce cards & gifts that become even more special because they are hand made by you. If you have any ideas or suggestions how we can improve our cd\'s or even ideas for future cd\'s please do not hesitate to contact us via the contact page. We welcome feedback from our present & future customers & will try to help as much as possible. So, I hope you will take a visit and see some of the very unique and original art work and creations! Another noteworthy tidbit is that my new friends are across the pond in England, France, Norway, Scotland (I think), and a few other European countries I'm sure I missed! Upon sharing the news with my 14 year old daughter she said "Cool Mom, you're International!" So sweet! My children are my #1 fans and they make me feel so good! It appears that I am the only American on the team! I am thrilled and honored (forgive me if I've already said that) to be joining these ladies and I look forward to their friendship and comraderie. 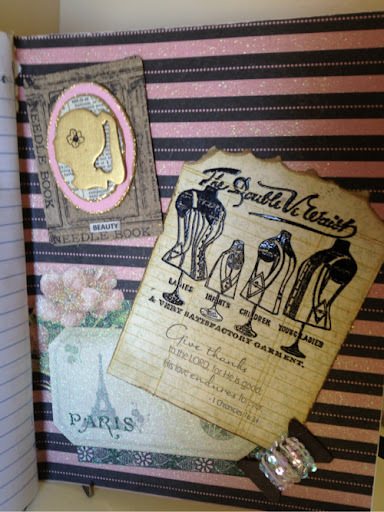 Ok so here is another journal I made last spring and I think it's an appropriate way to introduce myself to these ladies as the blog appears to be located out of the UK. 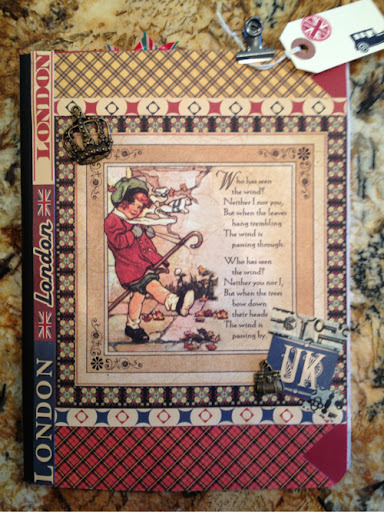 Here is the journal cover, I have been enamoured with all of the UK imagery that has been coming out and last spring was probably the height here in the US, especially with the Olympics in London. I just adored this Graphic 45 ABC Primer collection! The vintage schoolboy just spoke British to me with his darling red coat! 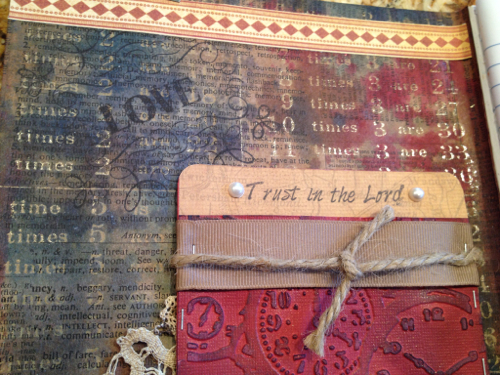 Inside I used the Tim Holtz Kraft resist paper with the times tables background, kinda spoke to me with the math theme! There is also a portion of a vintage doily tucked behind the pocket. 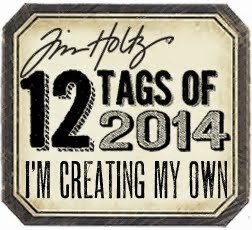 I can't seem to find an image of the tag, but I think it had a Scottie dog I had cut on my Cricut. 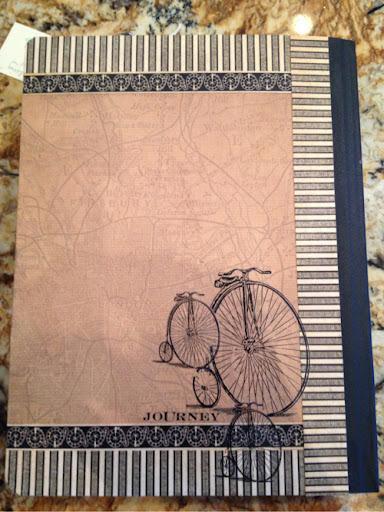 The journals were, made to sell at a craft faire taking place at a Christians Women's retreat I was attending. A portion of sales was being donated to some Missionaries the camp supports. Hence, there was a lot of inspiring messages tucked in here and there. The back is left pretty simply so it can lay flat. The bicycles were rub ons I found at Michael's, they were waiting in my stash to be used in the "perfect" spot! The boarders 'were framed with more G45 papers from the Olde Curiosity Shoppe collection. 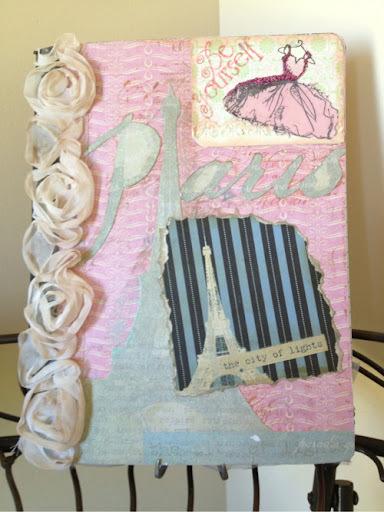 The final journal I want to show you also has a European flair, next we visit France! 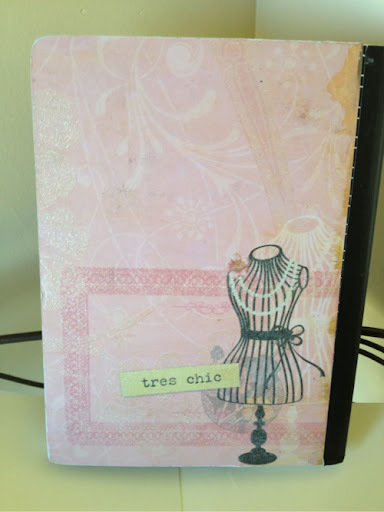 I used the DCWV Tres Chic papers and throughout the journal you will see some ATC's which came from a swap I was involved in, some are from other people, like this beauty. Here's the inside cover. The sequins on the bottom is an elastic piece so you can tuck extra papers in. The ATC on the right was one I made for the swap. 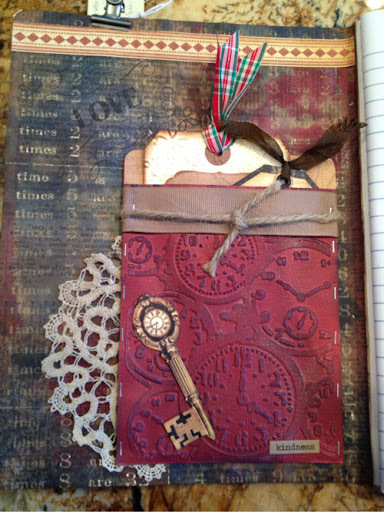 Used several Tim Holtz papers and the initials were stamped and embossed, the coordinating letter/initial was used for each participants name, so mine is an A. I just loved this ATC and it just fit perfect with the layout and theme. 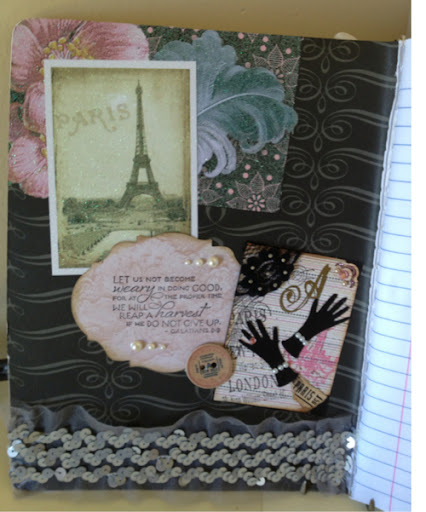 Back cover; ATC in the corner is not my creation, but so pretty with these papers. The garment image was stamped and heat embossed...love this stamp! 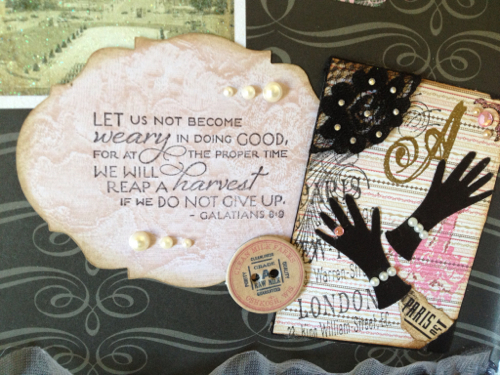 The spool is from the Tim Holtz dies from Sizzix, just used some sequins "ribbon". All Papers in background also from DCWV. Nice, simple and easy back cover using only the DP. Well thank you ALL for stopping by, and if you came from the OLLCDT I say "Nice to meet you friend!" If you like what you see please leave a comment and join my followers so we can continue are journey together, I'll be sure to do the same! Adrienne, I just popped over from the Ooh La La DT blog to say hello. What a lovely welcome you have prepared for us. It's great to have you on board and I am looking forward to working with you. A year ago I was in your position as a new member of the team and was made to feel so welcome and valued right from the off. I hope we make you feel the same way as you join us. BIG Congrats Adrienne!! 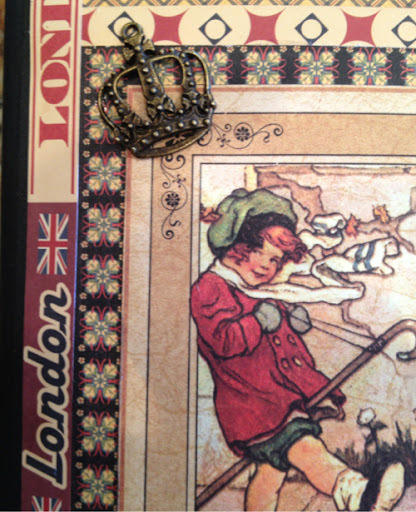 Wonderful news and love your UK journal!!! Great vintage-y look and colors. The projects with french inspiration are terrific too! Hi we are a new dt-member to. Lovely blog!! These are wonderful, so creative. Thanks for playing along at Catch The Bug. Wow what a fantastic introduction to your new Design Team. Thank you so much. 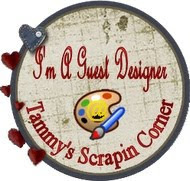 I hope you will enjoy being part of our team and I can't wait to see what fabulous creations you come up with.